When October arrives, it’s often accompanied by spooky vibes that fill the air as we all get into the Halloween spirit. Let’s face it — who doesn’t enjoy Halloween? It’s the one day of the year where you can create a new image for yourself. You can be anyone or anything, you want to be. And, the best part is no one cares because they’re all doing it too! Take your Halloween spirit to the next level this year with a chillingly good night of your own. To help you plan your gathering, here are a few ideas for hosting a frightful Halloween gathering in your new home. When it comes to creating a chilling environment for hosting your Halloween gathering, it starts with your home’s exterior. So, make a strong first impression by decking out your front porch and yard with some eerie decor. Use string lights in place of your front porch lights to darken the entryway. This creates a spooky environment while providing enough light for guests to navigate their way into your home. Next, if you have a tree in your front yard, you can create a ghost using a white sheet and hang it from the branches. And, also consider adding some creepy looking tombstones to enhance your front yard. Then, finish off your outdoor decor with some jack-o-lanterns and faux spider webs, and you’ll have the perfect eerie entrance to greet your guests when they arrive. 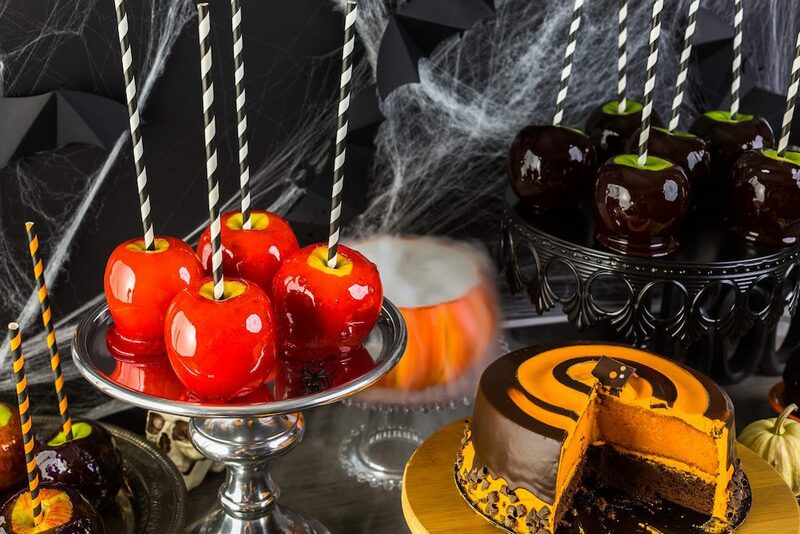 For a Halloween gathering that your guests will never forget, your decor can’t stop at the door. 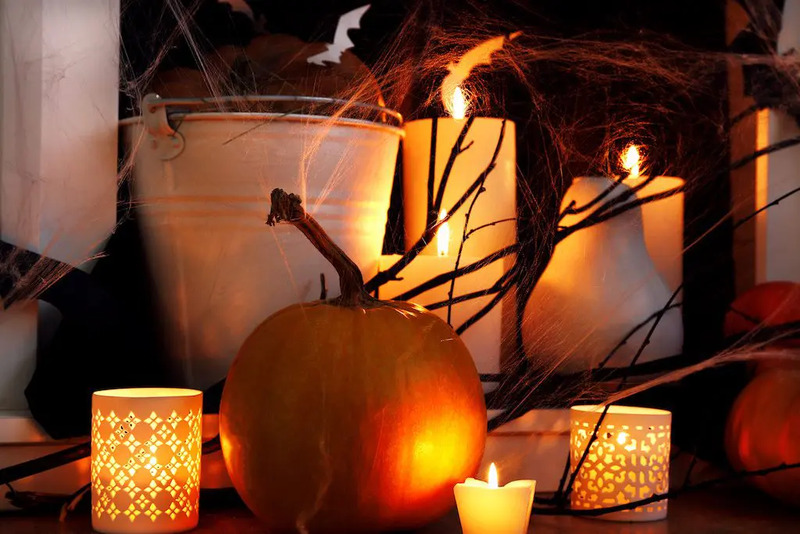 Embellish the inside of your home with Halloween decor to create a spooky aesthetic indoors. For example, pumpkins and gords to candles and spiderwebs, there are a variety of indoor decorations you can use in your new home. Dim the lights in your living room and let the candles create a chilling ambiance as you tell ghost stories or enjoy good conversation. If you’re feeling crafty, you can create paper bats to hang from the ceiling or pipe cleaner spiders to place throughout your home. You can even use items from around the house, such as tree limbs and brooms. Every holiday gathering needs festive treats, and Halloween is no exception! You can make everything from a delicious Halloween punch for the adults to creepy cupcakes for the kids. Other ghastly treat ideas include candied apples, Halloween cheese balls, or pigs-in-a-blanket severed toes. The delicious menu you create will delight guests and have them talking about your gathering for days to come. 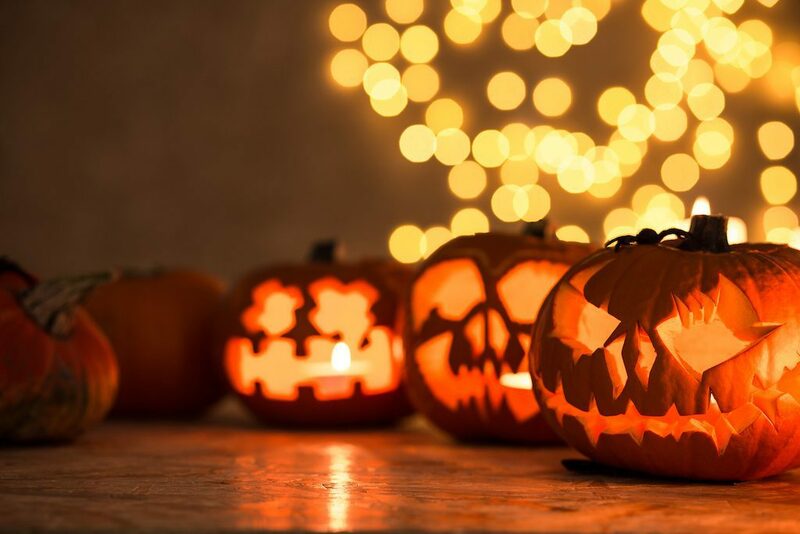 If you’re planning to host adults and children alike, you’ll want to have some ghoulish activities for all to enjoy. Outdoors you could have a small pumpkin carving station and area for the kids to bob for apples. If you live in a Brock Built neighborhood such as Oakhurst or Mangêt, you can even make s’mores at one of the community firepits. Inside, you might set up a small craft table with coloring sheets, or small DIY projects. You can also play some terrifying tunes and have a fun game of freeze dance zombie style. Currently wishing you had the perfect place to host your frightful Halloween gathering? Actually, we have new homes available now in both intown and metro Atlanta. 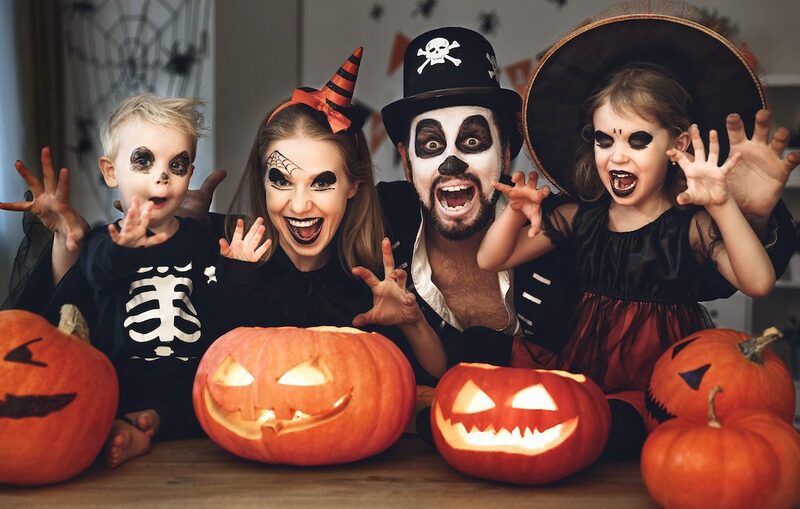 With open concept floor plans and common green space, they provide an ideal for hosting a Halloween party with family and friends. Why Choose a Brock Built Home?